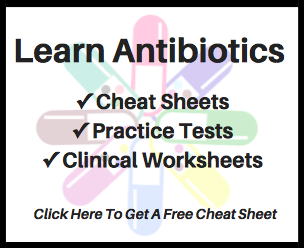 With the approval of eravacycline in mid-2018 many people are wondering how this new tetracycline class antibiotic is different than tigecycline. In this article an infectious diseases pharmacists provides a general comparison of eravacycline (Xerava) versus tigecycline (Tygacil). Eravacycline (Xerava) is the latest antibiotic to hit the U.S. market, gaining FDA approval in August of 2018 for complicated intra-abdominal infection (note, studies for urinary tract infection have not been favorable). Inevitably as people learn about this new drug, questions will arise about it’s role in therapy and how it compares to other drugs. Tigecycline (Tygacil) is the last tetracycline drug to come to market prior to eravacycline. Tigecycline and eravacycline share a number of commonalities, so in turn, many people are likely wondering how the two drugs compare. In this article I provide a general comparison of eravacycline versus tigecycline. It should be noted that this is not a comprehensive review of the literature and readers are referred to the below references for more detailed information. This is not meant to support clinical decision making, but rather provide a superficial overview of how the drugs compare. There may be other important differences not listed. When might eravacycline be used? Looking to when eravacycline may be employed in clinical practice, it seems the most obvious scenario will be as a substitute for tigecycline when a patient with significant nausea/ vomiting issues requires therapy for an intra-abdominal infection due to a multi-drug resistant organism (and/or if multiple allergies are present). In a recent blog post, Dr. Paul Sax suggested several instances when eravacycline may be considered in practice, which is available here. What is the chance that a tigecycline-resistant isolate will also be eravacycline-resistant? How difficult will it be for clinicians to procure eravacycline sensitivity testing? If a patient has a tigecycline allergy, what is the chance that they also will have an eravacycline allergy? What role does eravacycline have for the treatment of Mycobacterium spp.? What consequences may arise from long-term eravacycline use? What is the role of eravacycline for infections beyond intra-abdominal infections? An expanding antimicrobial armamentarium is a good thing for patients with complicated infectious diseases, but new antibiotics bring many questions. Hopefully in the coming years additional data will be made available to address some of the questions posed here and also to further clarify what we have learned about eravacycline thus far. Have something to add or want to see an adjustment? Contact us here and we will consider making a change.